There is a part of Christmas that is more enjoyable for me than any other. I love, love, love putting up the Christmas tree, and getting it all lit up for the first time. And then we just add ornaments, nothing more. As a matter of fact most of the ornaments on my tree are the annual ornaments that I bought for each of this kids that are still living at home, from the time they were born. They really fill the tree quite nicely. Anyway, remember early in December when I told you all the story of buying my artificial tree. If this is your first time here take a look at this story: Christmas Tree Follies. I think this is my fourth or fifth Christmas with this tree. It has been a rock star. Just take it out the box, assemble correctly (which is a story in and of its self), and plug it in. There you go. I asked Travel Man what we could do to repair it and he said we would have to take the ornaments off and pull it apart so he could check the wiring. Well that wasn’t happening before Christmas so I just lived with it, and without the lights for about a week. Then I dug around in the garage and found and extra string of white lights, plugged them in and strung them around the tree. They weren’t quite the same as the real thing, but they filled in the gap a little bit. We took down our beloved tree on New Year’s Eve, and Travel Man was able to check the wiring. Lo and behold it was just a blown fuse. 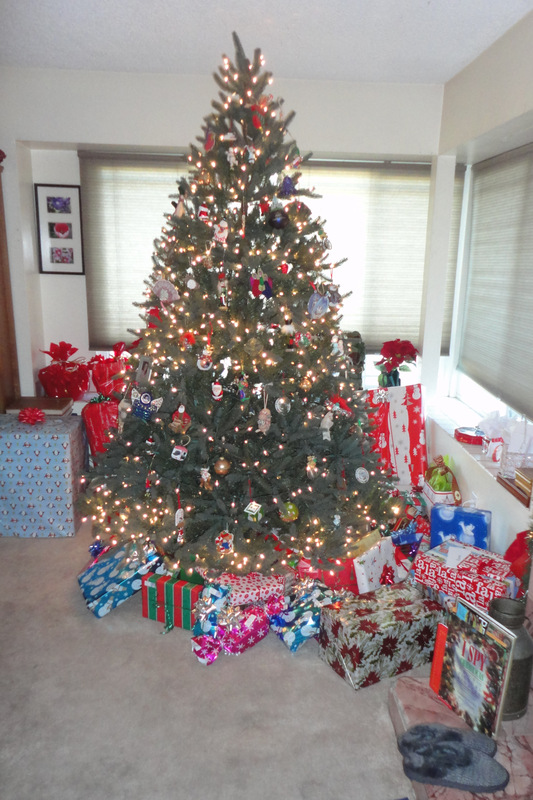 So he replaced the fuse for me, we tested the lights, and packed it all up for Christmas 2012. Hopefully, this tree will last us a few more years, or until they come out with an LED version that Travel Man and I can agree that we like! 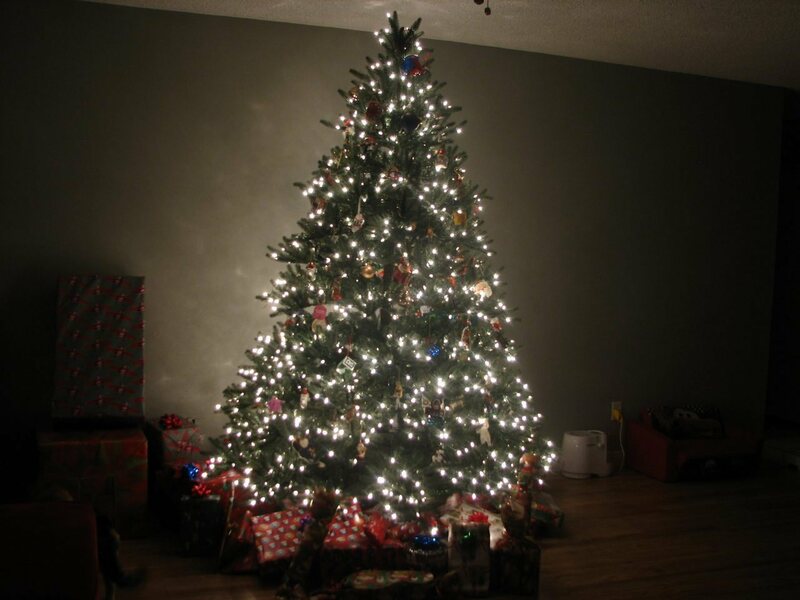 Did you have a real or artificial tree this year?